Chris Gage is a social entrepreneur and organisational development practitioner, with a background in community and engaged theatre practice. 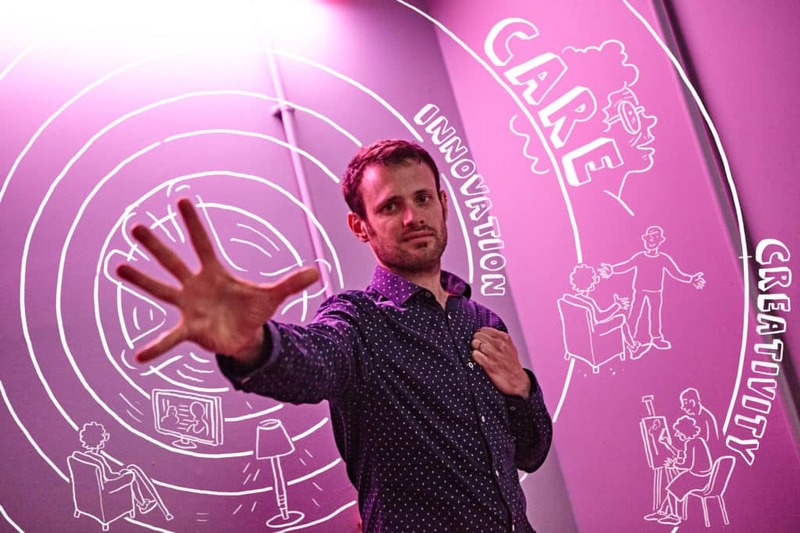 He is the Director of the Centre for Creativity and Innovation in Care, and Managing Director of Ladder to the Moon, a social enterprise that supports care services to be creative, vibrant places to work, live and visit. Chris decided to pioneer this approach in order to create the change that he wanted to see in the services used by his own Grandmother. Ladder to the Moon is internationally respected for developing cultures of innovation in care services that achieve significant business and regulatory results. Chris’ work and articles have featured on Channel 4, and across the care sector press. He has consulted in the USA and Australia, and speaks internationally. Chris was named Care Innovator of the Year in the Great British Care Awards (Greater London) 2013.